Several years ago, when my oldest was just a few years old, we decided to make a snowglobe for the holidays. I did a bit of research and decided to help him make a "Selfie" snowglobe. With a photo of himself that we laminated to add to a jar. However, I didn't have glycerin. Which helps the glitter to stay a float a little bit longer. I had to get creative. I tried a few things and found that you don't need glycerin. 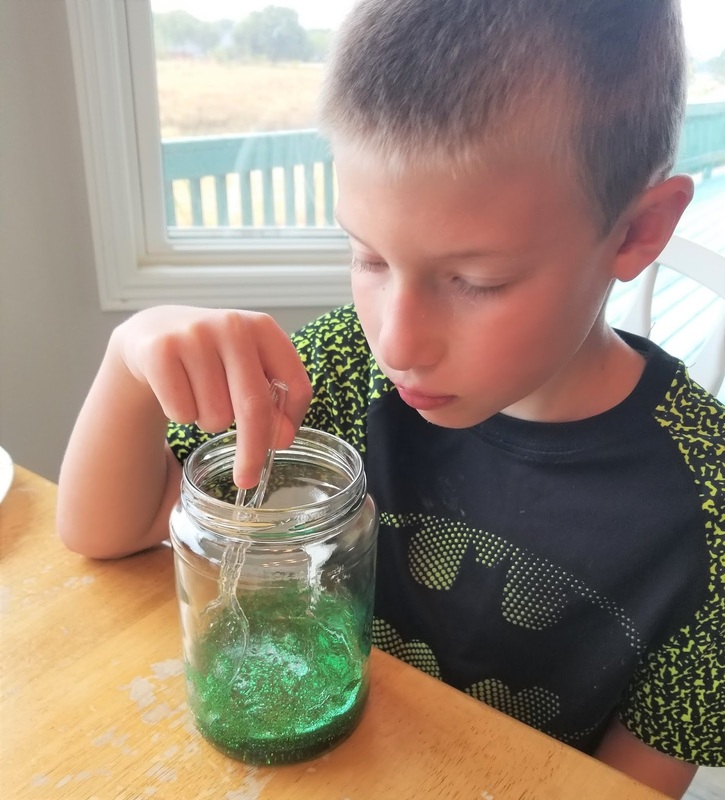 Today I'm sharing with your how to make a snowglobe without glycerin. What is glycerin? Glycerin is made from vegetable fats and is often used in soaps and lotions. Most households don't just happen to have glycerin on hand so making snowglobes with glycerin requires a trip to the store. But I'm going to show you how to make a snowglobe without glycerin. I've seen lots of different methods people have used as substitutes for glycerin that I've seen. For instance, some people have used baby oil or vegetable oil to help keep the glitter floating. Both similar to glycerin because they have oil and stay a bit separate from water. But these don't seem to slow the glitter down as much as a snowglobe might need. Instead, they float through the water and make things a bit greasy and over time the color of the water gets yellow. After some experimenting, I found that corn syrup is actually pretty good as a substitute for glycerin. It has a lot of similar characteristics to glycerin. It is made from vegetable oils, it is sweet and it has a thick consistency. 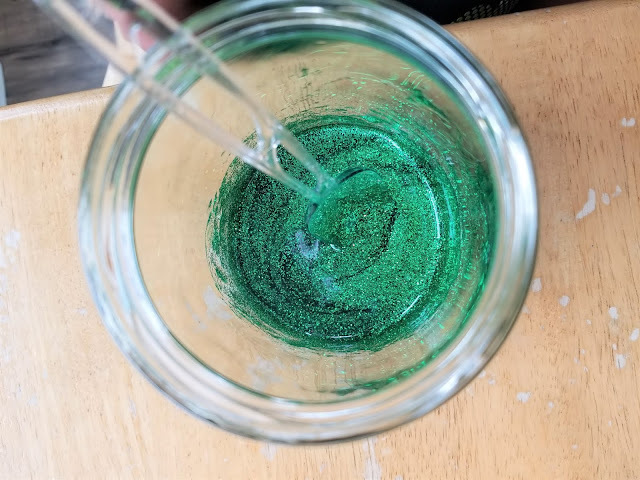 It is thick enough to slow the glitter down and help the glitter stay afloat longer. It also mixes well with water and doesn't add any oily residue at the top. Plus, since it is a staple for baking and candy making, a lot a people already have it in their home on hand. So that means you don't have to head to the store to make snowglobes. 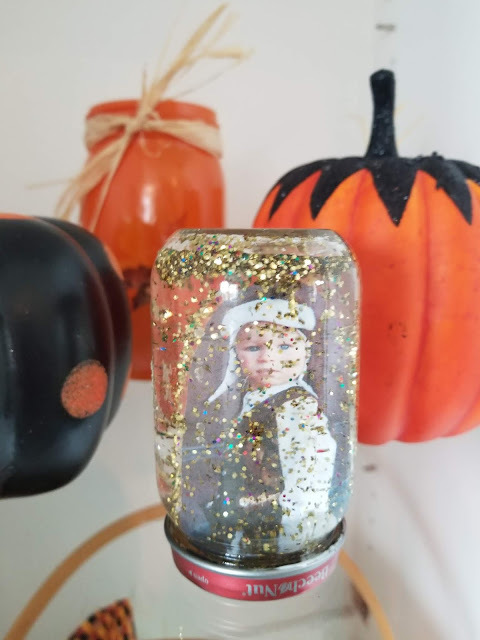 We've made snowglobes the past few years and it is so fun to let the kids pick what picture they want to put in their snowglobe. Most of the time it is not a picture I would pick, but it makes me giggle when they tell me what their favorite photo is. But they do love to pick. Let me walk you through the steps I took to create our own selfie snowglobes. 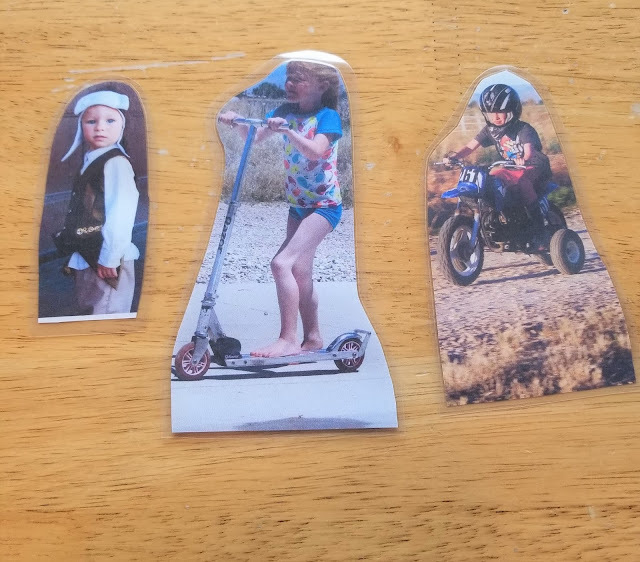 Print out photos for jars. Make sure they will fit inside the jar and won't be to tall or too wide. That means you'll want to measure the width and the height of your jars and make sure your photos are big enough. Cut around your photo and laminate them. Then cut them out again. You want to have a small amount of lamination around the outside to help prevent the photos from being damaged in the water. If you are in the market for great at home laminator, check out the Scotch laminator. It is small, works fast and inexpensive. I've had mine for about 8 years and use it for so many projects. It's paid for itself. From school projects, to crafts to snowglobes, we've used it for everything. 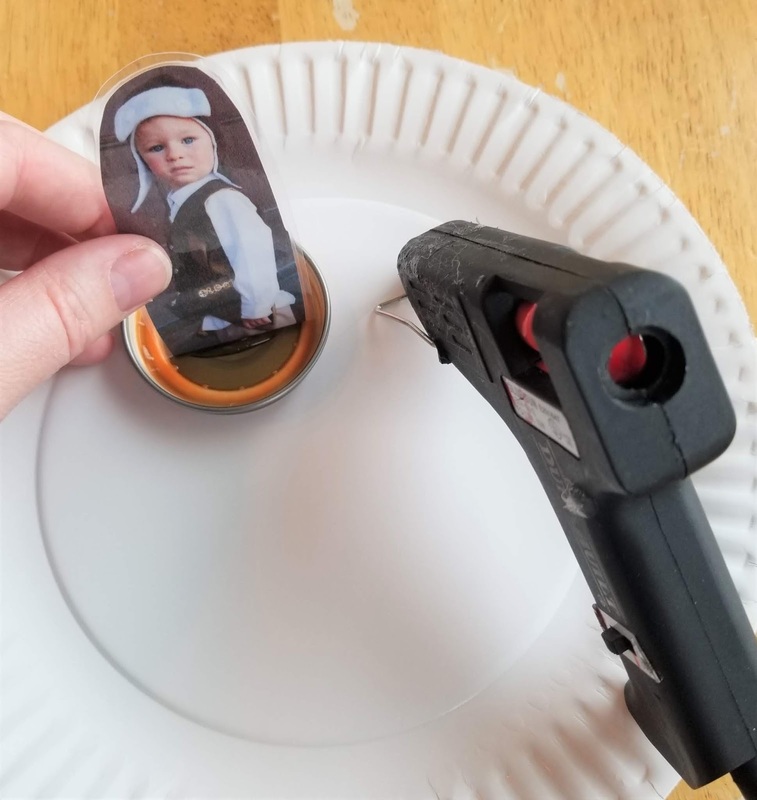 Fold the bottom edge of your photo about 1/2" and use the glue gun to glue it to the inside of the jar lid. Allow it to cool. That way the glue won't come off in the water. Add about 1/4 cup to 1/2 cup of corn syrup to each jar. 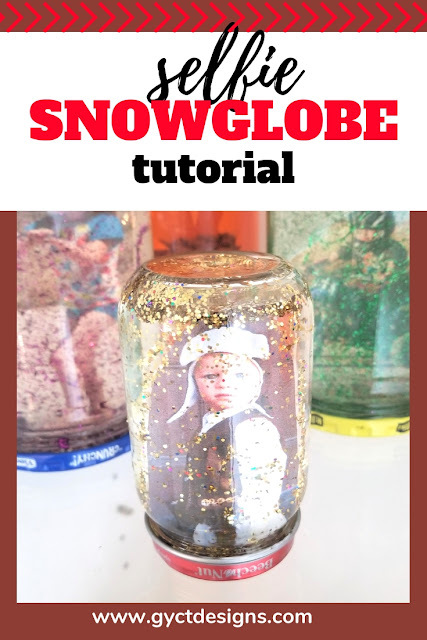 This is the fastest way how to make a snowglobe without glycerin. 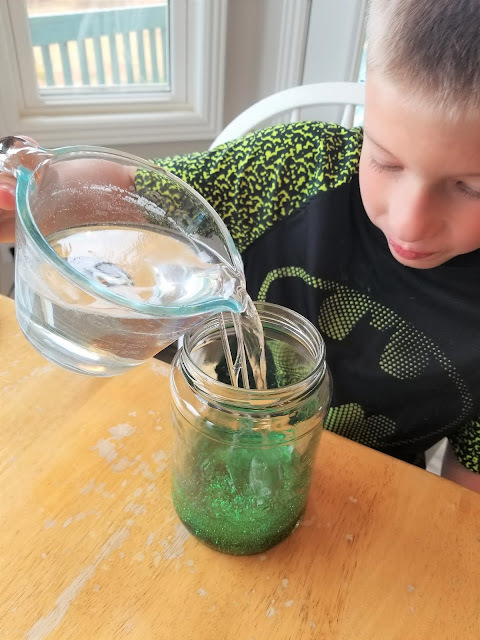 The corn syrup will act similarly to glycerin and thicken up the water so that the glitter will slow down when floating. Add glitter to the corn syrup and stir with a plastic spoon. Use a plastic spoon so that you can toss it after stirring in the glitter and the corn syrup. Fill the remainder of the jar with water but leave about a 1/2" of air at the top. Make sure you fill it all the way up or you'll end up with a lot of glitter right over the head or eyes of your photo and it will look silly. 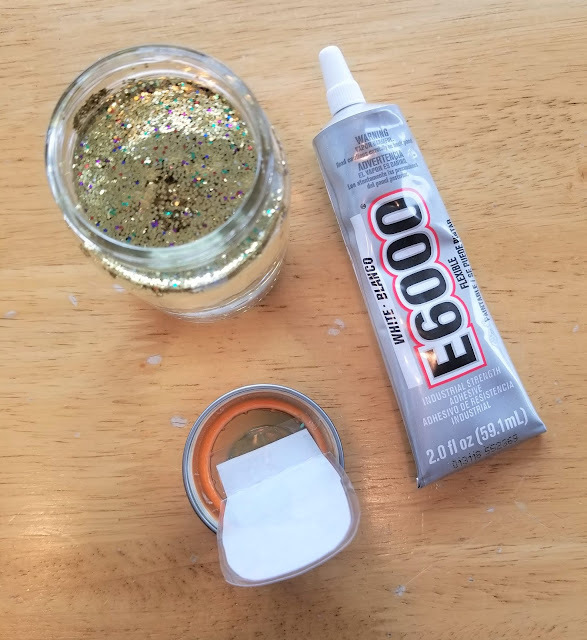 Put E6000 around the rim of the jar and place the lid on and tighten. The E6000 should set within 24 hours and prevent the lid from being removed later on. You could just hot glue the lid shut as well. But I this little human that is really good at getting lids open that should be shut. And the last thing I need in life is glitter all over my floor. Shake, shake, shake!! You should be set for enjoying your fun years to come. As you can see it is super easy to make a selfie snowglobe, but it is also super fun. 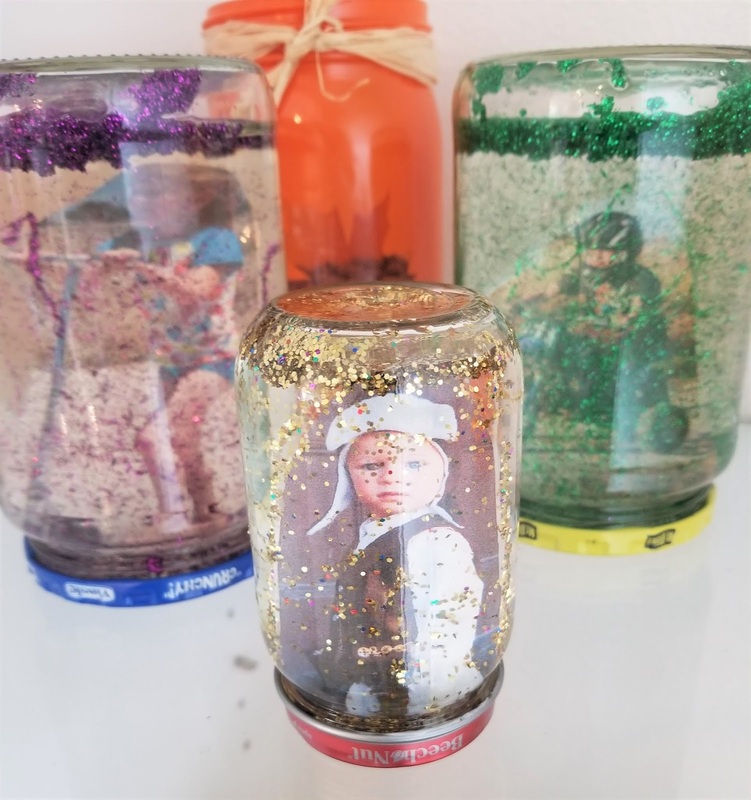 Think of all the fun opportunities you can make snowglobes like for school parties, summer craft days, Halloween parties, school centers and birthday parties. Or like us, you can make them on a nice raining day during the holiday season when you want your children to go outside but they can't. Now go show all your friends how to make a snowglobe without glycerin.